Why do we need to keep telling ancient stories? What does Antigone teach us during the Isis era? Can it help us coping with the ethical and political challenges of the XXI century? With the strength of the contemporary storyteller, Kamila Shamsie wonders about identity, faith, family and society. And she asks a question concerning all of us: what sacrifices are we willing to do in the name of love? What would stop ourselves and make us help the people we love? 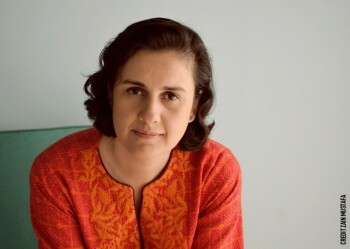 Kamila Shamsie, born and raised in Karachi, Pakistan, studied in the USA and lives in London. Her several novels include Kartografia (Tea, 2004), Sale e zafferano (2000) and Ombre bruciate (2010), published by Ponte alle Grazie. Her latest book, Io sono il nemico (Ponte alle Grazie), was published in Italy in August and was finalist at the Man Booker Prize 2017, as well as was awarded with the Women’s Prize for Fiction 2018.